I love this drink because you can make it as tart or as sweet as you like. It's a light and refreshing glass of happiness. Use Cachaça (a Brazilian rum that's my new favorite liquor) if you can, otherwise just use regular rum, white preferably. I got the Pitu brand because it has a shrimp on the label that's fed up with life so he's throwing his hands up in the air. Then you need a lime. 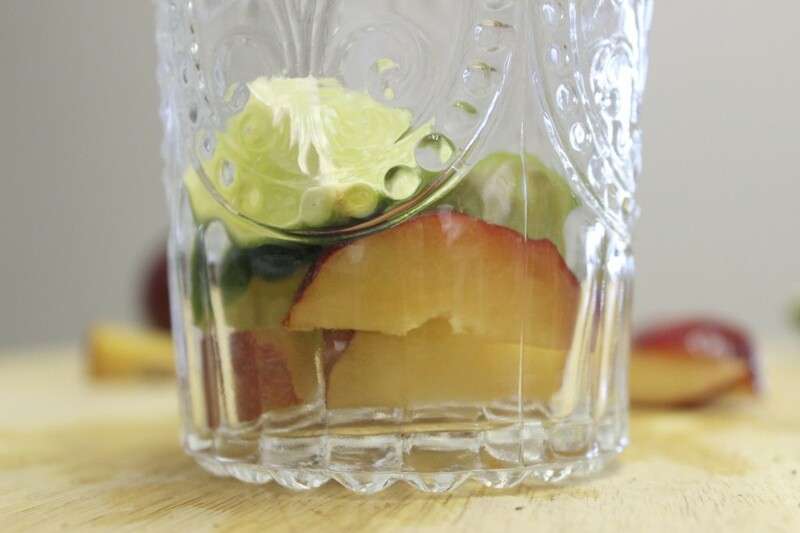 Add half of the plum slices and the four lime quarters into a glass. Sprinkle as much or as little sugar as you want. 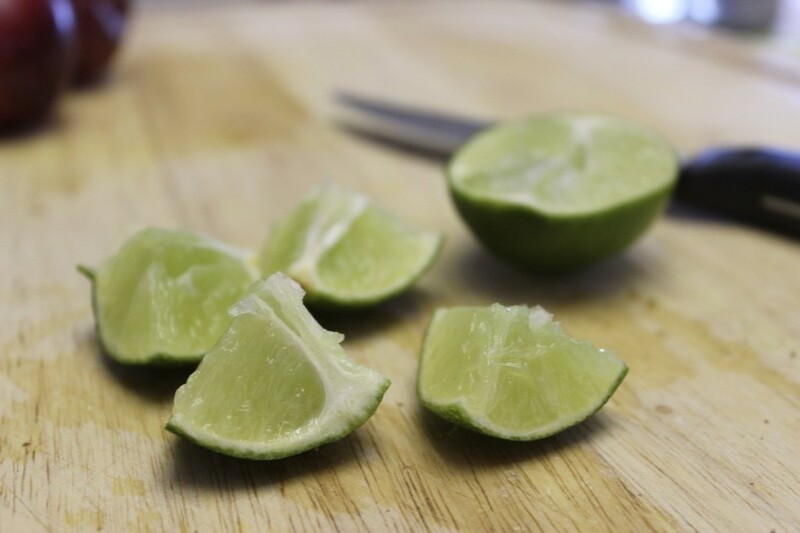 This is the part that determines how sweet or tart you want your drink. 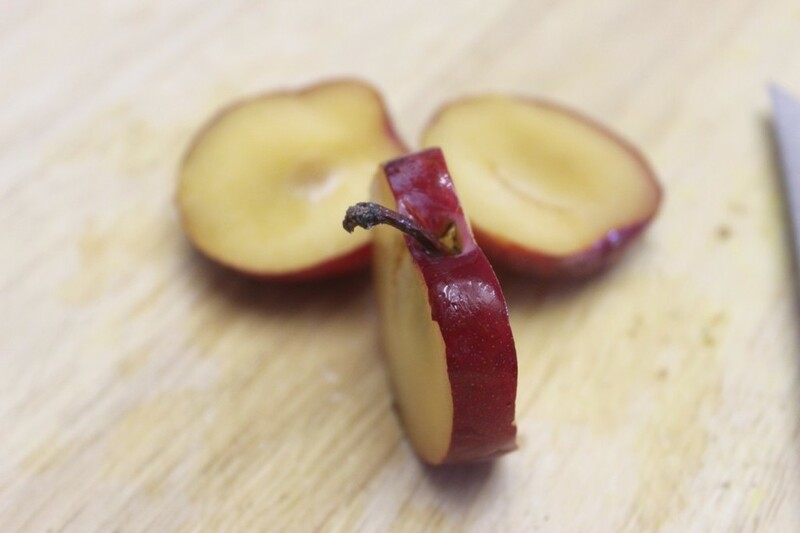 Remember that some plums can be tart and others on the sweet side, so taste your plum before you add the sugar. 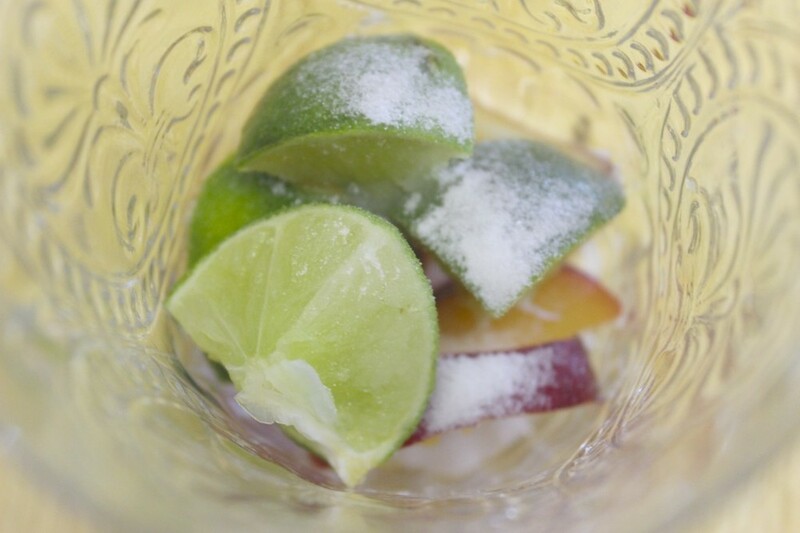 Next you want to muddle (smash) the sugar into the limes and plums to break them down and release all their juices. I don't have a muddler so I used the back of a thick handled bottle opener. Basically anything with a thick handle (except a knife because you can't hold a blade, unless your into that kind of thing in which case omg ew whyyyyy) is fine to use as a muddler. Lesson of the Day: Don't ever let life circumstances prevent you from making the exact cocktail you desire. At this point you have a traditional caipirinha, but I went a few steps further. I added the rest of the plum wedges and a splash of sparking water just for a little effervesence. My new obsession is Mountain Valley. It doesn't have that disappointing aftertaste that many sparkling waters can have. I also added some more lime juice just to finish it off. This drink packs a punch.